Emmanuel Macron may be forced to change his style of governing amid a ‘strong feeling of hatred’ towards him, after protesters piled fresh pressure on his presidency with another day of violence in Paris. 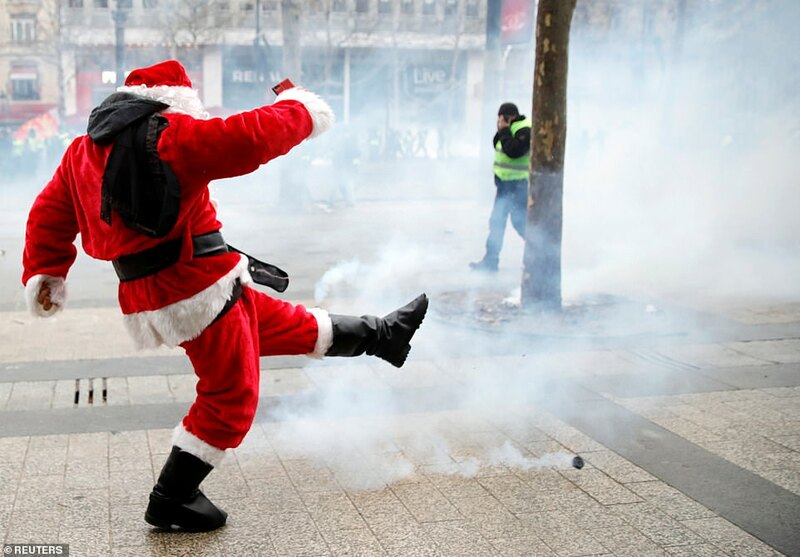 Demonstrators dressed as Santa Claus joined the yellow vest protesters in the capital yesterday as around 66,000 people turned out across France to vent their fury at Macron. Police fired tear gas and water cannon in a bid to quell the violence, which was less severe than the week before but still marked a fifth consecutive Saturday of protests. Today a poll showed Macron’s approval rating falling again amid the crisis, to a dire 23 per cent, only 18 months after he won the Elysee Palace in a landslide victory with 66 per cent of the vote. In the same poll the proportion of people who declared themselves ‘very dissatisfied’ by his leadership jumped by six points to 45 percent. 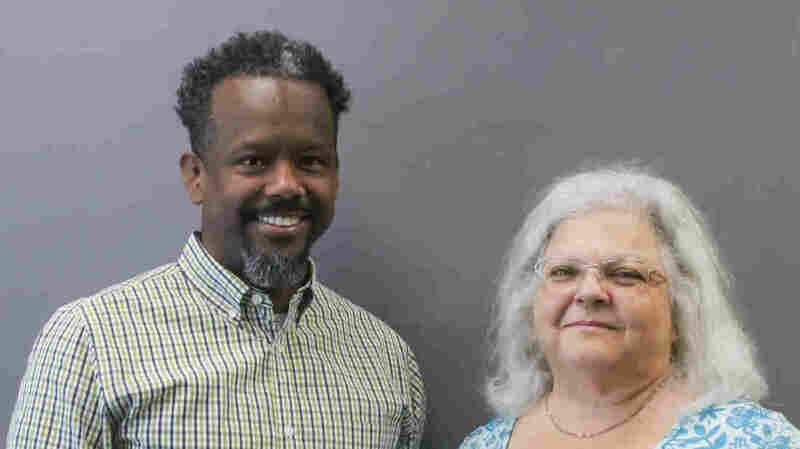 A different poll by Ipsos on Wednesday last week showed that a mere 20 percent of respondents were happy with his presidency, a fall of six points to its lowest level yet. Macron had announced a series of concessions on Monday to defuse the crisis, cancelling planned fuel tax hikes and offering an increase in the minimum wage. 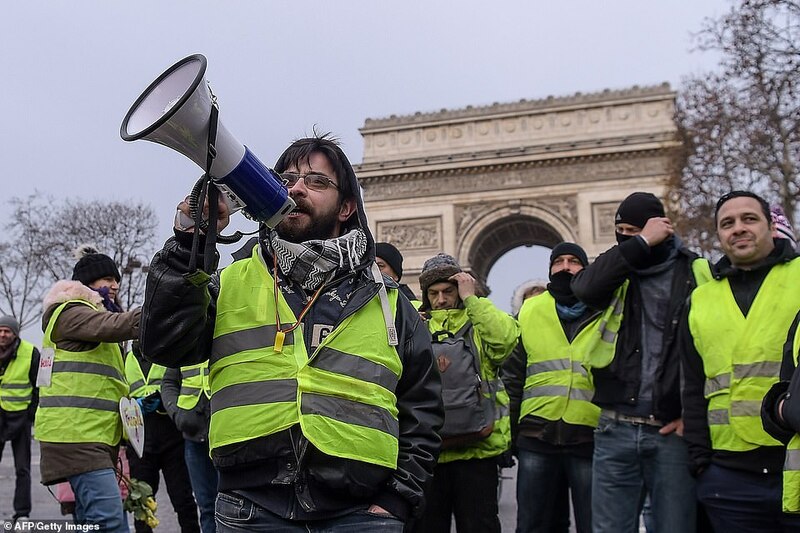 The yellow vest movement began as a protest against the fuel tax increase, but has ballooned into a wider rebellion against Macron’s presidency and the cost of living in France. Sociologist Herve Le Bras said: ‘It is calming down, but what remains of it all is a strong feeling of hatred towards Macron. 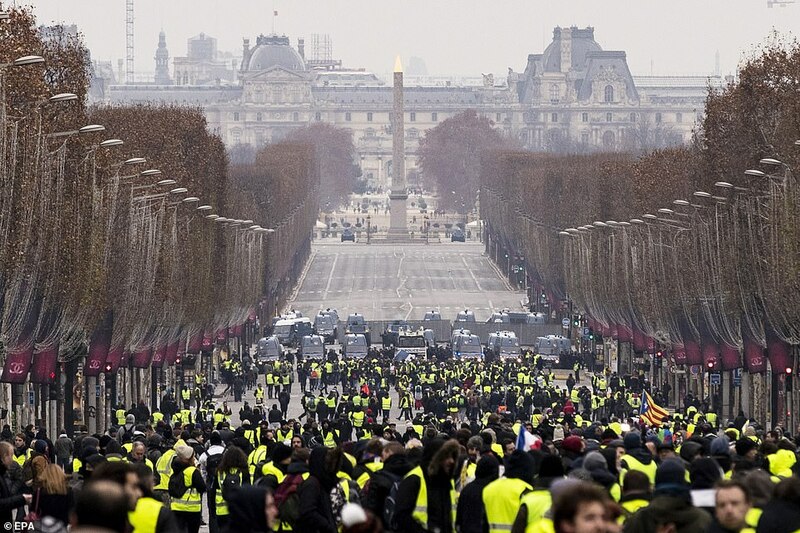 The protests underlined the depth of dislike for Macron’s personality and style of governing, which critics see as arrogant and too distant, he said. The 40-year-old former investment banker had styled himself as a determined pro-business reformer who would not yield to pressure from protests which had weakened many of his predecessors. 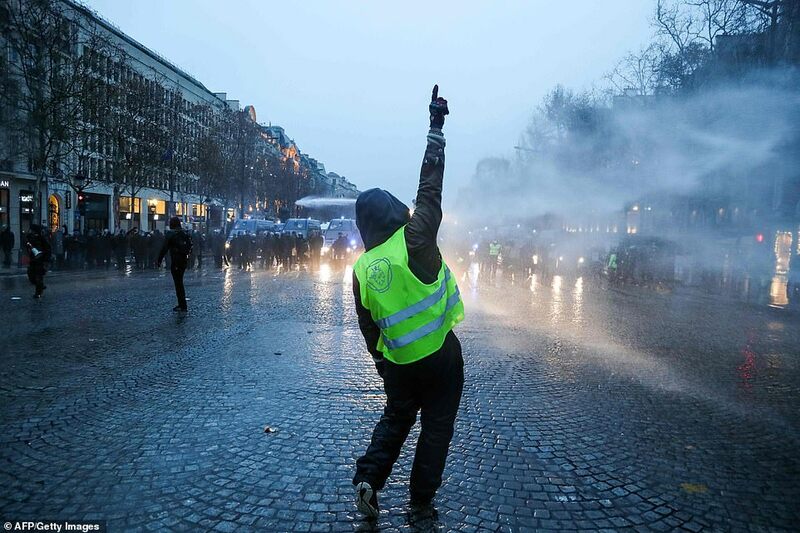 In Paris on Saturday, the more than 8,000 police on duty easily outnumbered the 2,200 protesters counted by local authorities. There were 168 arrests by early evening, far fewer than the 1,000 or so of last Saturday. 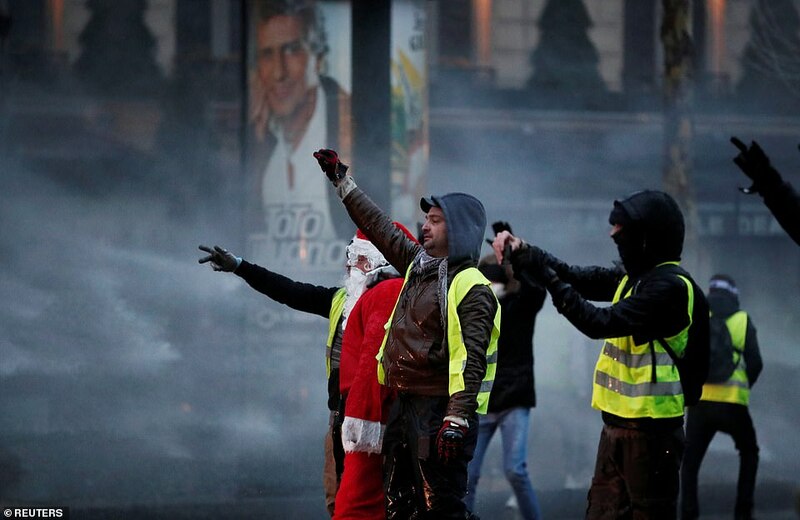 Tear gas was occasionally fired, but only a fraction compared with the weekends of December 8 or December 1 when graffiti was daubed on the Arc de Triomphe in scenes that shocked France. 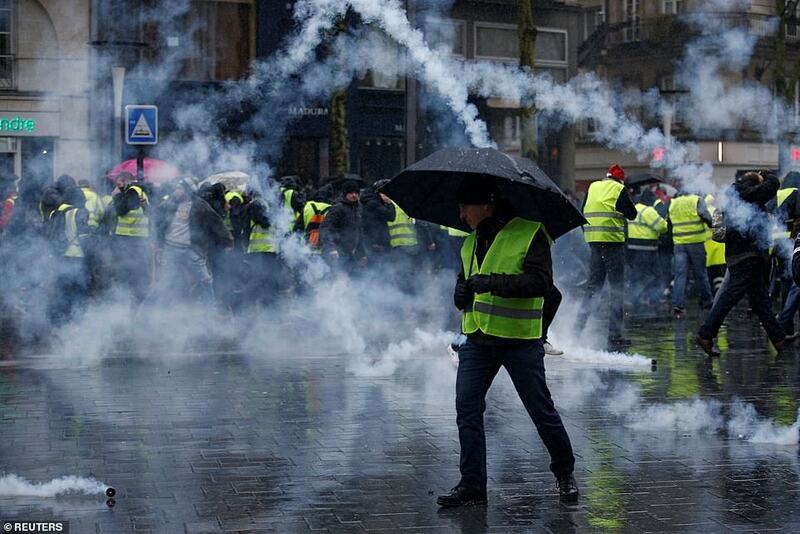 Minor clashes were reported in southwestern Bordeaux where teargas was used and projectiles thrown. 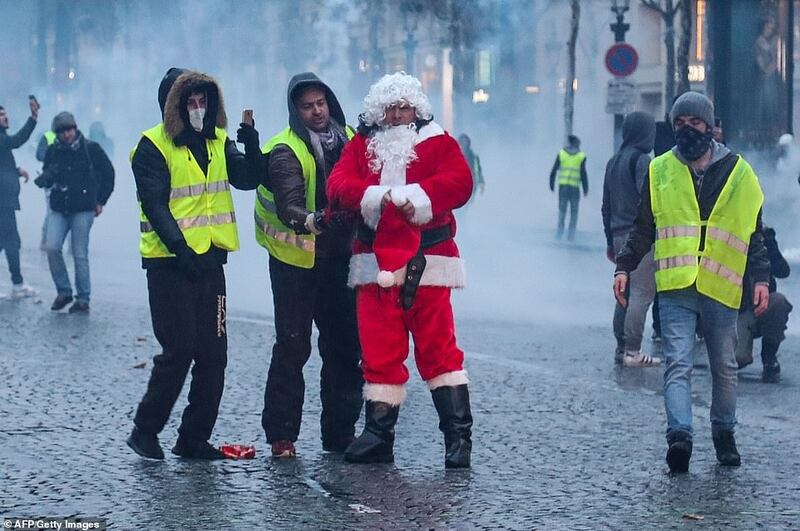 It was a similar picture in Toulouse, Nantes, Besancon, Nancy, Saint-Etienne and Lyon. 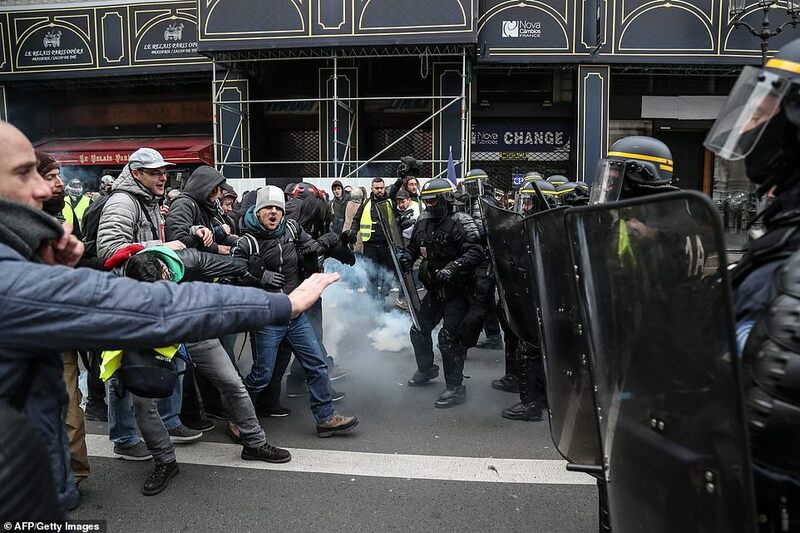 Interior Minister Christophe Castaner also called on protesters to halt their blockades across the country which have seen traffic and businesses disrupted. Protesters snarled traffic on motorways in the south of the country yesterday and on the A16 near the port of Calais in the north. 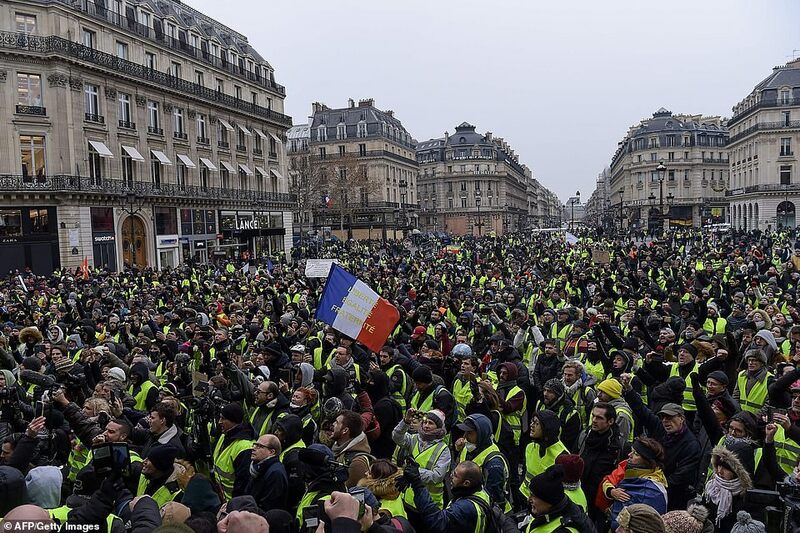 Around 69,000 security forces were mobilised across France on Saturday, down from 89,000 the weekend before when 2,000 people were detained.